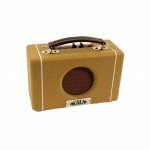 Brands > Kala > Kala all mahogany concert ukulele nat finish pick-up with tuner - get 25% off any case with purchase. 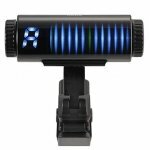 This item is in stock and will be ready to ship or pick-up in under 24 hours. We will notify you if there will be a delay for any reason. Save 25% off the purchase of any gig bag or case for this ukulele along with the purchase. Contact our sales team at 780-986-2251 to receive this offer online. Note: If you are seeing higher than expected shipping rates, e-mail admin@turnerguitar.com for a firm quote to your location. Please note: Many of our amplifiers and instruments are displayed on the floor and may have been tested. Models with damage will be noted as such. Those item may not ship with their original packaging. If you want to confirm the status of this item before ordering, please contact our sales team at 780-986-2251. The non-electric version of this model is our best selling ukulele in store. Due to it’s exceptional value for money, the KA-C has been the uke of choice for many of our students. 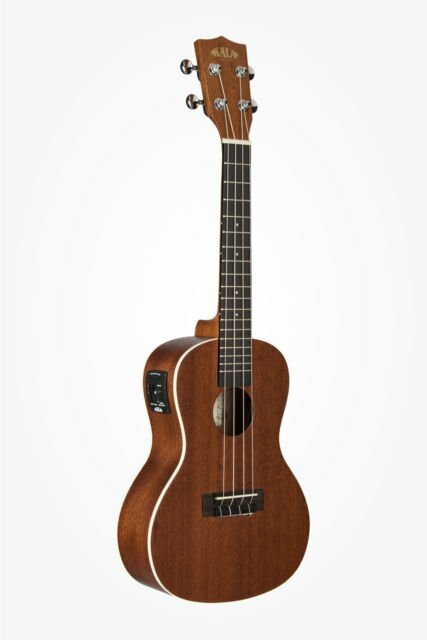 The all mahogany construction give the the concert sized ukulele a warm tone that is very pleasant, while giving a lot of volume for an instrument of this size and price range. The die cast machine heads, Graphtech Nubone nut and saddle, and Aquila strings all work to make the ukulele sound great, and stay in tune well. The simple aesthetics with a simple single-ply white binding on an open pore finish mahogany body makes for a low budget instrument that can still perform extremely well. The piezo pick-up system is the perfect addition to this ukulele, with a great quality tone, a simple EQ and volume control as well as a chromatic digital tuner, you will be ready to play live with this model.